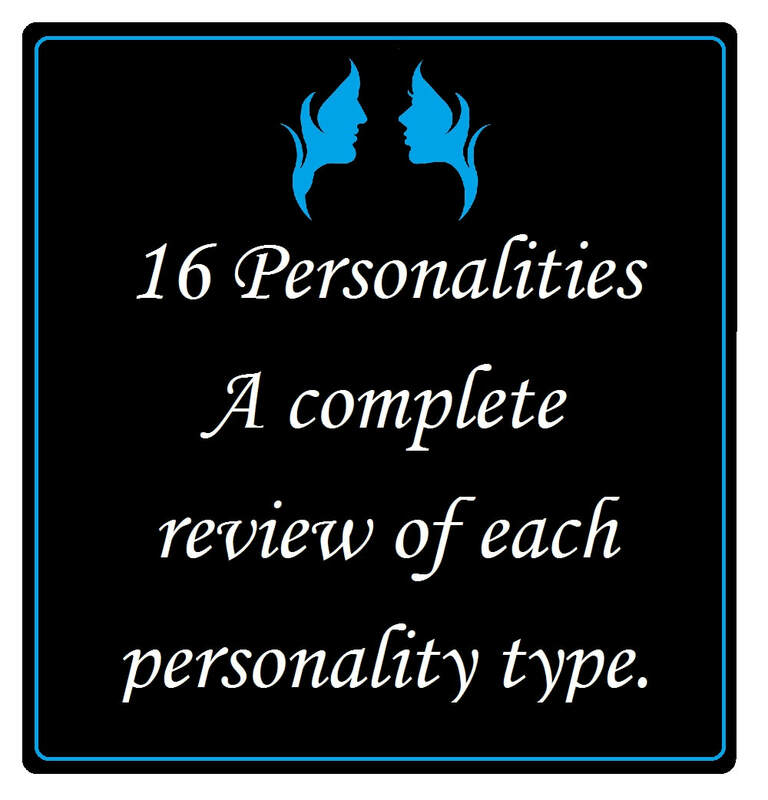 Have you ever taken just a few minutes to take a personality test? No, not the one where you get matched with your spirit animal or what type of IKEA furniture you might be. We are talking about a real personality test. But wait.....it's not a test because there are no right or wrong answers. There is no pass or fail. There is no good or bad. It's actually called a "Personality Assessment." Is it legit? Many can argue this both ways, especially regarding whether it should be used to evaluate employees, but that isn't what we are doing here. The goal in this situation is for you to get a little information for some self-reflection. It is a great tool to use as a starting point for discussing how people vary in their personalities and to maybe build some tolerance for others and better understand their perspectives. The key is to not over-interpret the results. 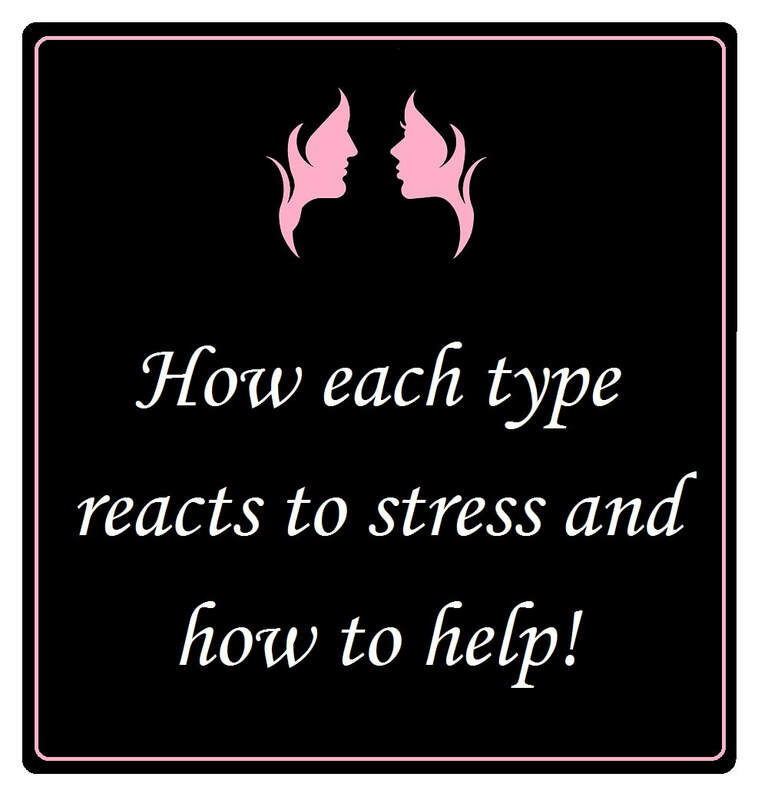 If used with an open mind, understanding your "type" can be a great stepping stone to personal growth and development. The Myers Briggs "Assessment" (There is a link below) is easy to take and provides an endless supply of information and feedback, and it's all free. You don't have to register, don't have to put in your email address, nothing at all. If you can take 10 minutes to answer 64 multiple choice questions, you have the opportunity to open up a whole new world of understanding yourself and your partner. Once you complete the assessment, you will instantly be given your "4 letters". There are 16 different possibilities. With those 4 letters in hand, a simple search on the internet will provide more feedback about yourself than you ever thought possible. Equally as important, if your partner takes the assessment, you will be able to learn and understand more about them and how your personalities interact, both positively and negatively. The key to getting an accurate assessment is thinking about the questions and answering them honestly. Think about the questions and answer how you truly feel, not how you act, pretend, or would "like" to be. Some people are more true to themselves when they answer quickly, and some people are more true to themselves when they're given a little time to think about it. It may be helpful to first settle on the "least wrong" answer and see how it fits you. Once you have your letters, you can do some reading and learn about yourself. If you can somehow convince your partner to get their 4 letters, you can learn about them. How they think, how they process information, how you might perceive them vs. who they really are. There are those who find it fascinating and others who may feel that it's not relevant. If it works for you, then it's another tool in the tool box. If it doesn't, it will only cost you a few minutes of your time! This is the type of information you can get about the different personalities. Just click on the links! We all have a variety of "traits," and it is easy to view yourself as having both positive and negative aspects. Exposing and understanding your personality will help you to understand that everything about you is interconnected and that your "weaknesses" are just as much a part of you as your "strengths." Learn more about "Becoming Who You Are." We have all have asked ourselves “Why is this happening to me?” “Why do I keep having the same problems?” “Why am I so frustrated?” Understanding your personality can often help you to answer these questions and get out of the repetitive cycle in which you find yourself. Learn more about "Bad Things." "The cost of not following your heart is wishing that you had." - J Paulsen. With some direct feedback about your personality, you will begin to see that the things that you "like" are not random. You will realize that there is a reason that you are naturally drawn to certain pursuits and not interested at all in others and that it's okay to feel that way. Learn more about "Following Your Heart." Maybe you need down time. Maybe you need adventure. Maybe you need to be active, maybe you need planning and security, or maybe you need casual and spontaneous. Understanding who you are and your needs allow you to accept those traits and live by them. It's your journey. Learn more about "Taking." The world is a vast wonderland of people, yet many people feel that they are alone in who they are and how they think. You are not. There is no shortage of people out there that think the same way as you do and when you read through all of the information, it starts to make sense. Learn more about "Feeling Alone." In fact, understanding the differences between people will help you to be more "understanding" of who they are and how they think. It's not wrong; it's just different. Learn more about "Judgemental." We all face adversity at times in our lives, and each personality style handles adversity in a different way. You will begin to see that your reactions are less about a conscious reaction and more about instinct. Learn more about "Handling Adversity." So many times in life, we are judged by others based on "their" dreams and goals, not ours. We are all different and we all have different ideas about what we want. Some of us want to be the life of the party and achieve fame and fortune. For others, it's about stability, comfort, and consistency. Some may want a big family and to see the world, others may want to travel to the south pole and read books. Both are okay. Learn more about "Dreams and Goals." Some people struggle with big decisions because they are choosing from society created options that are just not a fit for them. Understanding who you are and what your values are will help you to make informed and conscious decisions based on your needs and desires. Learn more about "Making Decisions." You will learn that your path is based on your own set of values and perceptions and that advice from others may not apply. It means that you trust yourself to take care of your needs and safety. It means you refuse to give up. Learn more about "Trusting." Often, fate and destiny are used interchangeably, but they aren’t the same. Fate is the life you lead if you never put yourself on a different path. Destiny is your potential waiting to happen. You can live your destiny if you are willing to take that first step to reach your potential. For many, that first step includes self-analysis and learning to trust themselves and others. Learn more about "Destiny." While going through the process of self-examination, you will likely start to understand better why things "Drive you crazy." Knowing and understanding these triggers will help you acknowledge and control them. 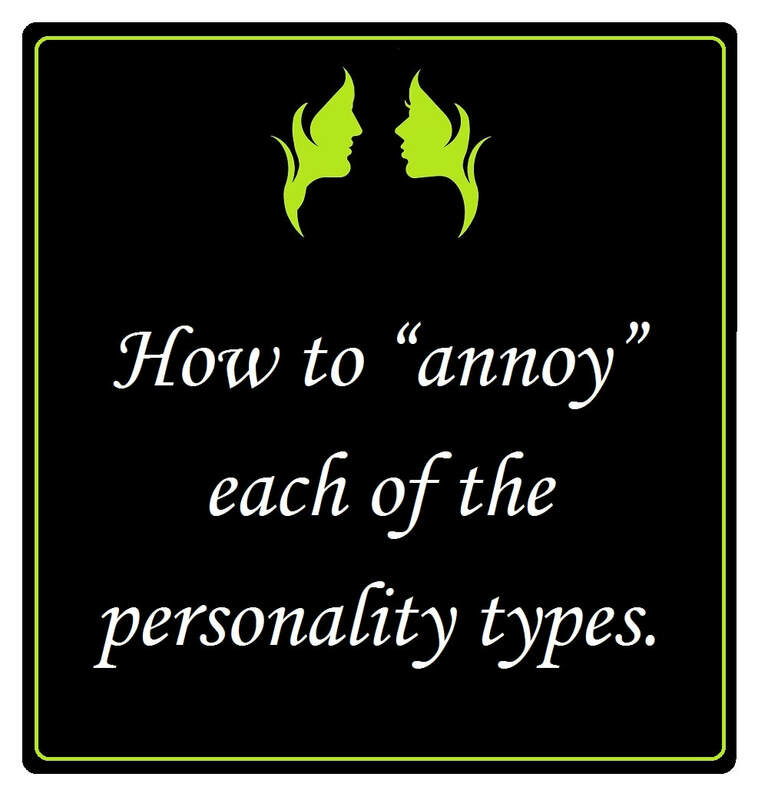 Learn more about "Personality and Triggers." When you know your type and the type of your partner, you can more readily appreciate and accept the differences between you. Instead of labeling a part of their personality as “good or bad” or judging them, you can begin to view their behavior as an intrinsic part of who they are. 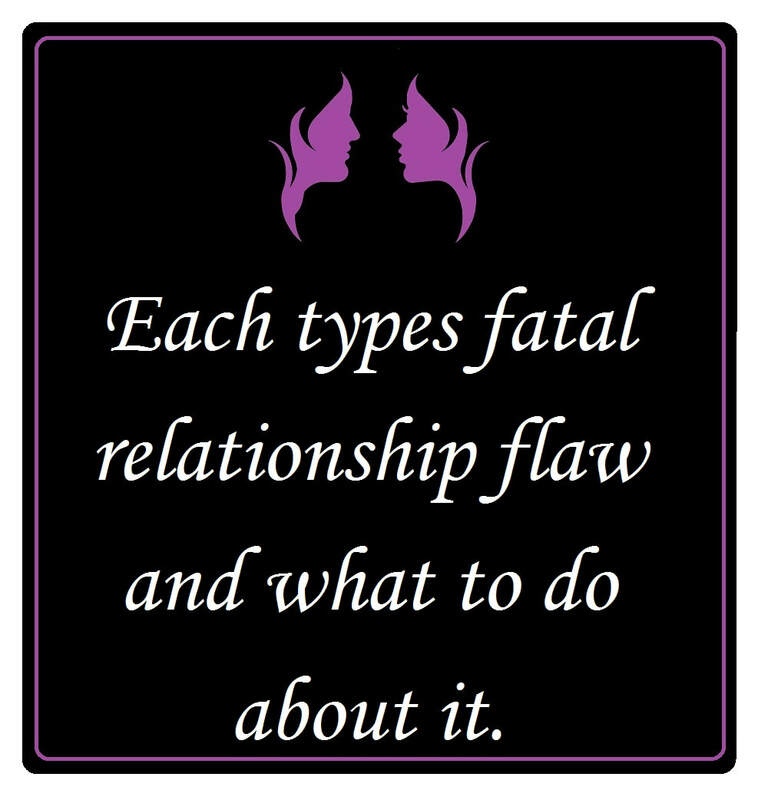 For couples, this knowledge allows you to identify differences that may cause conflict; this way, you can proactively navigate these differences. Learn more about "Understanding Your Partner." It's not unusual for many adults to feel burnt out and overworked. Burn-out might occur because a person’s strengths, interests, and values are not in alignment with their work. If your personality is best suited to adventure and activity and you are stuck in an office 40 hours every week, burn out could be the result! Learn more about "Burnout." Many people think: “If I do X, then I am worthy of Y.” For example, if you "become a doctor," you will be worthy of my love. Well, maybe you just don't want to do that! This premise itself is destructive, as it presumes that someone may be worth more or less based on an arbitrary action or result. The truth is that everyone is worthy of love, respect, and kindness. Learn more about your "Worth." Without realizing it, your expectations may be what is directly in the way of your happiness. You may expect that certain endeavors will yield the results you desire, or believe you can be in control of your life, or be totally convinced that the great life you want must contain specific components. Left unnoticed, these expectations become all-powerful. Just think of the amount of suffering - yours and the suffering of others - that comes from these unrecognized expectations. Learn more about "Letting Go." Interestingly, many people hardly know themselves, but how do you expect to grow in life and become better if you don’t? How do you expect your partner to know and understand you when you don't even know yourself? In fact the moment you start interacting with yourself you may find the friend you are looking for! It’s perfectly okay to explore and take time to discover more about yourself and what you really want. It can be fun, eye-opening and life-changing. If you have found any of this interesting or helpful and would like to learn more, our "Personality" growthshop is a great way to have some fun and learn more about yourself and the wide variety of personalities out there and how they interact!